How many bees can you see on the flowers? 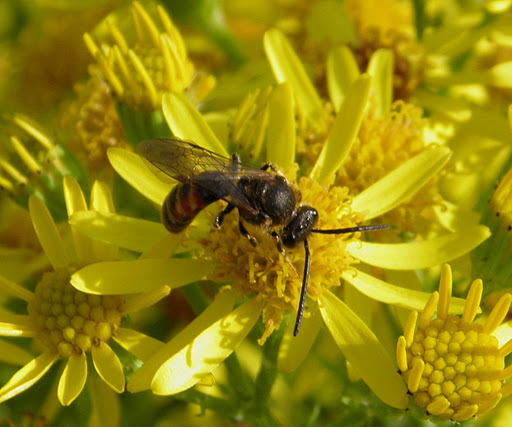 Now, Ragwort can cause problems, being toxic to grazing mammals when consumed in large quantities, and where it poses a genuine risk to these animals it needs to be controlled. 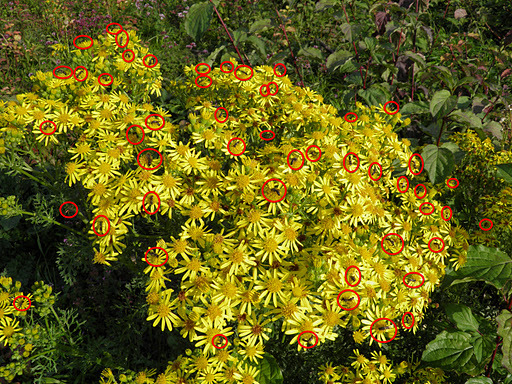 But in areas where grazing animals aren’t an issue, Ragwort provides a valuable resource for many, many insects, including at least 30 insects and 14 fungi that are entirely dependent on the plant, plus the huge numbers of insects that visit the flowers for pollen and nectar, as shown above. The controversy over the rights and wrongs of ragwort has raged for years now, and the claims for its harmful effects have often been widely exaggerated. There’s plenty of good information about Ragwort available nowadays, not least in DEFRA’s own Code of Conduct, so there’s not really any excuse for continuing to demonise the plant. Like most entomologists, I remain pleased to see Ragwort in all non-grazing-mammal contexts, and hope to see many more plants covered in the buzzing of contented bees, flies, beetles and butterflies – the sheer exuberance of the bees in the photos above were one of my year’s wildlife highlights. 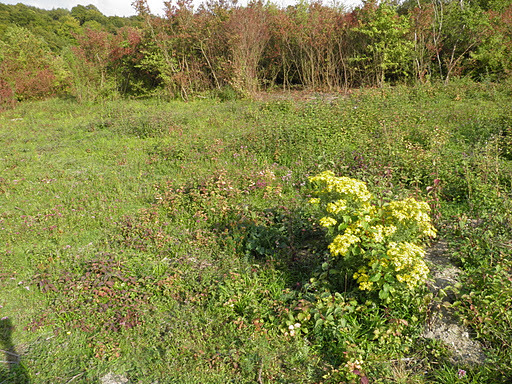 Narrow-leaved ragwort is steadily moving into East London brownfield sites. It is always abuzz with stuff. It's probably worth re-emphasising that I'm not claiming that ragwort poses no threat at all, just that the threat is often exaggerated and that it needs to be balanced against the great benefits of ragwort for supporting biodiversity.